Jorge Luis Polanco...Twitter: @Jorge_Polanco1...Instagram: @jorge_polanco05...wife Lucero (Ramirez)...sons Jorge Luis (born in 2017) and Justin Luis (born in 2018)...signed out of San Pedro de Macoris, Dominican Republic one day after 16th birthday on July 6, 2009...if he wasn't a baseball player, he would be an accountant...hobbies include playing pool, being with family and traveling...participated in 2017-18 Twins Winter Caravan...if he wasn't a baseball player, he would be an accountant or business owner. Served 80-game suspension to start the season after violating Major League Baseball's Joint Drug Prevention and Treatment Program...Reinstated from Restricted List on July 2 and played in first game that night at Milwaukee, going 0-for-4...Hit safely in 15 consecutive starts July 10-30, hitting .305 (18-for-59) during that span...Tied career-high with four hits September 16 at Kansas City...Hit .310 (35-for-113) with six doubles, three home runs, 14 RBI, eight walks and a .361 on-base percentage in 27 September games...Hit .317 (63-for-199) as a left-handed batter and .233 (24-for-103) as a right-handed batter...Played 76 of the final 82 Twins games at shortstop...Hit .310 (52-for-168) in Twins wins and .261 (35-for-134) in losses...Twins went 38-35 with Polanco in the lineup and 37-49 without...Signed five-year contract extension February 14 (along with Max Kepler) with a two-year club option. Made Twins Opening Day roster for first time in career as shortstop, batted seventh April 3 vs. Kansas City ... Set single-game career-high with four hits May 22 at Baltimore...tied with four hits again August 7 vs. Milwaukee ... Placed on bereavement list June 7-12 to attend death of his grandfather ... Hit safely in season-high 10 straight games August 2-12, hitting .459 (17-for-37) with four doubles, one triple, five RBI and a .487 on-base percentage in that span ... Homered from both sides of the plate August 29 vs. Chicago-AL, becoming the fifth player in club history to do so, joining Kennys Vargas (2016), Roy Smalley (1986), Chili Davis (1992) and Ryan Doumit (2012) ... Hit .373 (38-for-102) with 10 doubles, two triples, six home runs, 23 RBI, a .413 on-base percentage and a 1.099 OPS in 27 August games... ranked fifth in baseball in average and tied for eighth in hits ... Hit .316 (65-for-206) with 42 RBI in 55 games from August 2 through the end of the season, eighth-best batting average in the AL in that span and tied for fifth-most RBI ... Batted out of the third place spot for a majority of final two months; hit .259 (30-for-116) with eight home runs and 22 RBI while batting third in lineup ... Hit seven of his 13 home runs against Chicago-AL ... Hit .260 (84-for-323) with nine home runs as left-handed hitter and .248 (41-for-165) with four homers as right-handed hitter ... Played 130 games (127 starts) at shortstop, the ninth-most in the AL; most games at position since Pedro Florimon played 133 in 2013 ... Set single-season career-highs in games (133), runs (60), hits (125), home runs (13), RBI (74), walks (41) and stolen bases (13) ... Finished with 74 RBI, fifth-most in club history for a shortstop; 30 doubles ranked 10th...74 RBI ranked fifth in the AL among shortstops ... Joined Francisco Lindor and Elvis Andrus as one of three shortstops in baseball with 30-plus doubles, 10-plus homers, 70-plus RBI and 10-plus stolen bases. Began season with Triple-A Rochester but had four different stints with the Twins during season. Hit first major league home run May 15 at Cleveland, a solo shot off Trevor Bauer. Hit safely in season-high 13 straight games May 20-August 11 (time with Rochester in between), hitting .377 (20-for-53) with four doubles, two triples and six RBI in that span. Recorded first career three-hit game August 17 at Atlanta; recorded three hits again August 31 at Cleveland and September 13 at Detroit. Hit .321 (34-for-106) with five doubles, four triples, eight RBI and 11 runs scored in 26 August games...among AL rookies, he ranked first in triples, second in hits and third in batting average. Recorded career-high four RBI, going 3-for-4 with a home run and a double September 13 at Detroit. From time of final recall (July 30) through end of season, ranked third among AL rookies in hits (63), fourth in games (56) and batting average (.288), and tied for fifth in doubles (12) and RBI (23). Combined to hit .279 (150-for-538) with 29 doubles, 10 triples, 13 home runs, 56 runs scored and nine stolen bases in 144 games between Rochester and Minnesota. Hit .309 (21-for-68) as right-handed batter and .271 (48-for-177) as left-handed batter for Twins. Played 47 games (45 starts) at shortstop, nine (all starts) at third base and five (all starts) at second base. Optioned from Twins spring training to Double-A Chattanooga March 15. A Hit second career grand slam in second game April 10 at Montgomery....Hit safely in season-high nine straight games May 22-June 2, hitting .390 (16-for-41) in that span....Hit .364 (40-for-110) with four doubles, one triple, one home run, 15 RBI and 19 runs scored in 26 May games....Recalled by Minnesota June 10 as Eddie Rosario was placed on Paternity List; optioned back after the game....Named Southern League All-Star and went 2-for-2 with a run scored as a reserve for the North Division....Promoted to Triple-A Rochester July 4....Recorded four hits twice on season, once with Chattanooga May 10 vs. Jacksonville and once with Rochester July 12 at Syracuse... Recalled by Minnesota again July 29 as Trevor Plouffe was placed on Paternity List; optioned to Chattanooga July 31....Hit .323 (21-for-65) against left-handed pitching at Chattanooga and .283 (93-for-329) against right-handed pitching....Played 102 minor league games at shortstop and eight games at second base....Ranked sixth best prospect in Twins system by Baseball America, entering 2016...also ranked 14th best prospect in Southern League by same publication. Optioned from Twins spring training to Single-A Ft. Myers March 9...Hit .327 (32-for-98) with six doubles, two home runs, 15 RBI and 20 runs scored in 25 April games...Hit safely in 16 straight games May 1-19...Named Florida State League Player of the Week June 16-22, hitting .444 (12-for-27) with one double, one triple, one home run, three RBI and four runs scored in seven games for the Miracle...Recalled by Minnesota June 26 when the Twins placed Yohan Pino on the DL...Made major league debut June 26 at Los Angeles-AL, entering game as pinch hitter and drawing a walk on four pitches, eventually coming around to score...at 20 years and 356 days old, he became the youngest Twin to debut since Joe Mauer at 20 years, 352 days...Recorded first major league hit and RBI June 27 at Texas, hitting a two-run triple off Joakim Soria...according to Stats, LLC, he became the third player in Twins history to record a triple as first major league hit and the first since Jimmie Hall on April 16, 1963; the first was Bernie Allen on April 10, 1962 vs. the Kansas City A's...Optioned to Single-A Ft. Myers June 30 when the Twins activated Trevor Plouffe...Recorded five-hit game for Miracle July 18 at Daytona...Recalled again for a day July 24 when the Twins traded Kendrys Morales to Seattle; optioned to New Britain July 25...Hit first Double-A home run August 27 at Binghamton...Hit .347 (25-for-72) with three doubles, 13 RBI, 11 runs scored and a .413 on-base percentage in his final 19 games for Rock Cats...Ranked eighth best prospect and best strike-zone discipline in Twins system by Baseball America entering 2015...also best defensive shortstop in Florida State League by Baseball America. Played entire season with Single-A Cedar Rapids and hit two-run homer in first at-bat of the season April 4 vs. Beloit...Hit .341 (30-for-88) in 22 April games, highest monthly average in 2013; hit safely in 17 of the 22 games with nine being multi-hit games...Named Twins minor league Player of the Week May 3, batting .429 (12-for-28) with three doubles and 10 RBI in seven games...Named Midwest League Midseason All-Star...Recorded four RBI on three hits June 27 vs. Burlington Bees...named Twins minor league Player of the Week June 28, recording 11 RBI in five games June 22-27, hitting .500 (12-for-24) during that span...Ended season with 12-game hitting streak August 6-September 2, hitting .327 (16-for-49) with six doubles in that span...Finished the season sixth in the Midwest League batting average (.308)...Ranked 20th best prospect in Midwest League...Played for Leones del Escogido in the Dominican Winter League following the season...Added to Twins 40-man roster November 20...Named shortstop on MiLB.com Twins organizational All-Star team...Named 10th best prospect and best strike-zone discipline in the Twins system by Baseball America entering 2014. Florida State League Player of the Week July 9-15...named second baseman on MiLB.com Twins organizational All-Star team. Played entire season with GCL Twins...ranked 28th best prospect in Twins organization by Baseball America entering 2012. Began season in the Dominican Summer League...transferred to Gulf Coast League July 5...rated the best defensive infielder in the Twins system by Baseball America for the second consecutive season...ranked 17th best prospect in Twins organization by Baseball America entering 2011. Rated the best defensive infielder in the Twins system by Baseball America entering 2010. July 2, 2018 Minnesota Twins activated SS Jorge Polanco from the restricted list. June 28, 2018 sent SS Jorge Polanco on a rehab assignment to Rochester Red Wings. June 24, 2018 sent SS Jorge Polanco on a rehab assignment to Fort Myers Miracle. March 18, 2018 Minnesota Twins placed SS Jorge Polanco on the restricted list. June 12, 2017 Minnesota Twins activated SS Jorge Polanco from the bereavement list. June 7, 2017 Minnesota Twins placed SS Jorge Polanco on the bereavement list. November 21, 2016 2B Jorge Polanco assigned to Leones del Escogido. July 29, 2016 Minnesota Twins recalled SS Jorge Polanco from Rochester Red Wings. May 23, 2016 Minnesota Twins optioned 2B Jorge Polanco to Rochester Red Wings. May 7, 2016 Minnesota Twins recalled Jorge Polanco from Rochester Red Wings. May 3, 2016 Minnesota Twins optioned SS Jorge Polanco to Rochester Red Wings. April 26, 2016 Minnesota Twins recalled Jorge Polanco from Rochester Red Wings. April 24, 2016 Minnesota Twins optioned SS Jorge Polanco to Rochester Red Wings. April 19, 2016 Minnesota Twins recalled Jorge Polanco from Rochester Red Wings. March 18, 2016 Minnesota Twins optioned SS Jorge Polanco to Rochester Red Wings. October 5, 2015 Minnesota Twins recalled Jorge Polanco from Chattanooga Lookouts. August 1, 2015 Minnesota Twins optioned SS Jorge Polanco to Chattanooga Lookouts. July 29, 2015 Minnesota Twins recalled Jorge Polanco from Rochester Red Wings. July 4, 2015 SS Jorge Polanco assigned to Rochester Red Wings from Chattanooga Lookouts. June 11, 2015 Minnesota Twins optioned SS Jorge Polanco to Chattanooga Lookouts. June 10, 2015 Minnesota Twins recalled Jorge Polanco from Chattanooga Lookouts. March 15, 2015 Minnesota Twins optioned SS Jorge Polanco to Chattanooga Lookouts. November 15, 2014 SS Jorge Polanco assigned to Leones del Escogido. September 29, 2014 Minnesota Twins recalled Jorge Polanco from Chattanooga Lookouts. July 26, 2014 Minnesota Twins optioned Jorge Polanco to New Britain Rock Cats. July 24, 2014 Minnesota Twins recalled Jorge Polanco from Fort Myers Miracle. June 30, 2014 Minnesota Twins optioned SS Jorge Polanco to Fort Myers Miracle. June 26, 2014 Minnesota Twins recalled Jorge Polanco from Fort Myers Miracle. May 22, 2014 SS Jorge Polanco assigned to New Britain Rock Cats. March 9, 2014 Minnesota Twins optioned SS Jorge Polanco to Fort Myers Miracle. November 20, 2013 Minnesota Twins selected the contract of Jorge Polanco from Cedar Rapids Kernels. October 18, 2013 2B Jorge Polanco assigned to Leones del Escogido. 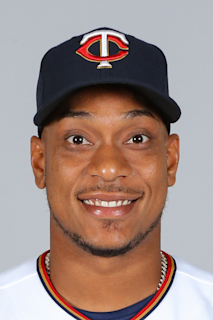 August 28, 2013 Jorge Polanco roster status changed by Cedar Rapids Kernels. August 16, 2013 Cedar Rapids Kernels placed 2B Jorge Polanco on the 7-day disabled list. April 1, 2013 2B Jorge Polanco assigned to Cedar Rapids Kernels from Elizabethton Twins. June 18, 2012 Jorge Polanco assigned to Elizabethton Twins from GCL Twins. April 3, 2012 SS Jorge Polanco assigned to Minnesota Twins. July 5, 2010 Jorge Polanco assigned to GCL Twins from DSL Twins. May 29, 2010 DSL Twins signed Jorge Polanco.